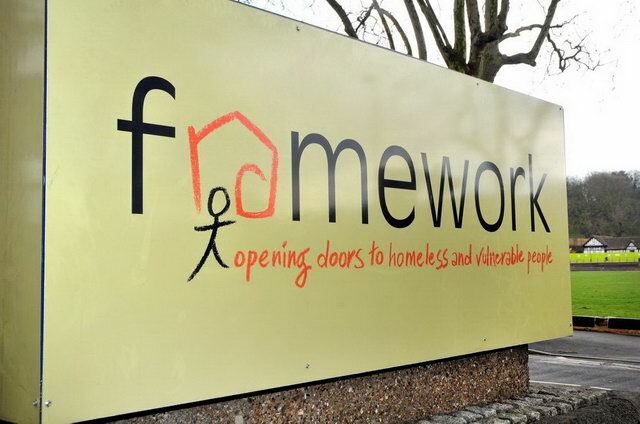 Yesterday a new Nottingham campaign was begun to demand that Framework, a local homelessness and housing charity, stops using mandatory work placements from the Job Centre. Everyone can get involved. Charity involvement in workfare, where benefits claimants are forced to work for free with the threat of cut-off benefits if they do not, is rife in Britain – see the list of ‘providers’ compiled by Boycott Workfare. The goodwill of true volunteers, a vital part of most charities, can only be degraded by the coercion of these work-for-free schemes which also displace paid jobs. Some of the larger charities may operate like any cut-throat business and not care how they cut costs, but at least some have been shamed into pulling out of workfare when their involvement has been publicised. Local charities in particular rely on goodwill from supporters and should listen to anti-workfare campaigners. In this latest Nottingham campaign, a letter to Framework was delivered by hand by Nottingham Against Workfare. The campaign asks for your support as follows. 1) Ask Framework to end their involvement in the workfare programme. 2) Explain to them that the Workfare programme is exploiting the very people that they proclaim to be supporting. 3) Share this information with as many people as you can. 4) Get in contact with us and join forces in stopping Framework’s exploitation. Members of the Anarchist Federation, Nottingham group, supported the Notts Against Workfare ‘Burton blockade’ yesterday in and around Nottingham market square where four shops using forced unpaid workers were demonstrated at, outside and in. Inside the shops we asked for anyone on workfare to let us know if they wanted to, which was successful in British Heart Foundation, one of the many charities known for exploiting unemployed people under threat of losing their benefits if they refuse to work for free. The week of action called by Boycott Workfare highlights the continuing scandal of forced unpaid work for people who receive welfare. Workfare profits the rich by providing free labour, whilst threatening the poor by taking away welfare rights if people refuse to work without a living wage. The four shops visited in Nottinhgam that are known to be involved with workfare were Burton, British Heart Foundation, Debenhams and Poundland. Leaflets were handed out and shops were entered to speak to workers and customers. Workfare has been opposed by anarchists for many years. This is not the first time that workfare has been tried out, as it was by both Conservative and Labour governments in the 1990s. A fuller article and photo can be found on the Notts SOS website: http://nottssos.org.uk/2013/03/24/photos-of-the-anti-workfare-demo-in-nottingham-city-centre-on-2332013/.